Warner Bros. Pictures‘ has released the official Comic-Con poster and trailer for JK Rowling‘s hotly-anticipated Fantastic Beasts and Where to Find Them. 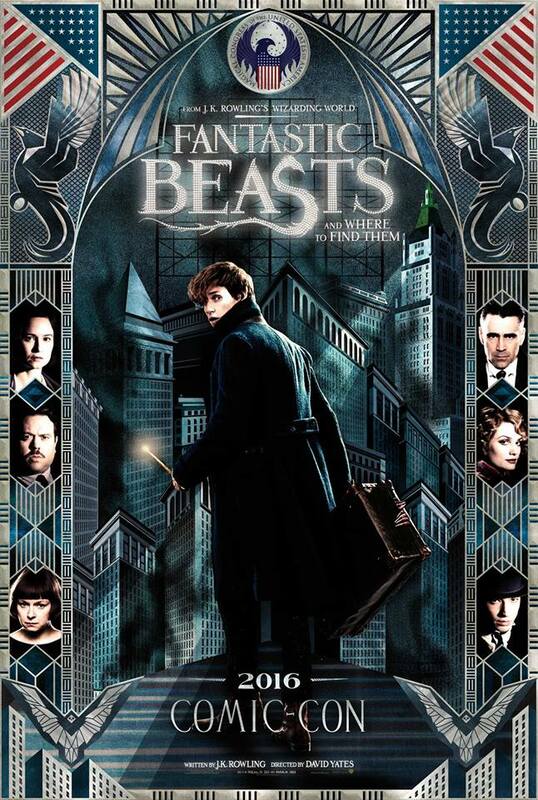 Set in 1926, the Harry Potter prequel stars, Eddie Redmayne as Newt Scamander, who has travelled the world to find and document an extraordinary array of magical creatures, however during a stopover in New York creatures from the case escape. The cast also features, Katherine Waterston, Alison Sudol, Ezra Miller, Dan Fogler, Colin Farrell, Jenn Murray, Jon Voight, Carmen Ejogo, Gemma Chan and newcomer Faith Wood-Blagrove. . Fantastic Beasts And Where To Find Them is released in cinemas on 18th, November 2016.